Hello, Delivered Ones! 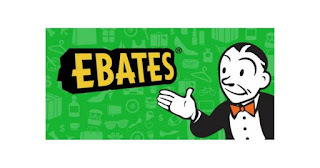 Ebates is one of those "no brainer" sites which makes my muddled brain happy. If you use Google Chrome, there is a browser extension which will present you with a pop-up whenever you are on a site that works with Ebates. Click and get cash back. I just saved 5% on my recent Walmart.com purchase. Click this link to try Ebates. It's free to sign up and you will never be charged any sort of fee for using the service.